Artifact Quest is rated 3.7 out of 5 by 16. Rated 4 out of 5 by brookings from Good 3M game This is a 3M game. It's isn't a stressful game and you can finish the game without getting stuck. As the game pieces fall you can still make a match. I enjoyed it. Rated 3 out of 5 by verimeri from great game for a 10 yr. old This game is too easy. Play on the timed mode. It's the only way you will feel any challenge. If you have children in the 8-11 yr. range this would be a good game for them. Rated 3 out of 5 by Kalindra_2012 from Pleasant simple match-3 I found this to be a simple, pleasant match-3 game. It has relaxing music and clear graphics. It includes a few varieties of game play. The timer is very generous (and the game allows the player to switch between timed & relaxed modes at any time). Not an 'epic' scope or challenging 'achievement-based' game - but charming and relaxing. Rated 2 out of 5 by bessiegirl from yawn.... I guess this is a game you need to play with the timer to spice it up. A very slow builder match 3 with elementary graphics and annoying sound. Same thing over and over again. I finally made it to the end. Artifact Quest 2 wasn't much different. If you want to buy these games, just get one as they are pretty much the same. I don't understand all the good reviews. Rated 2 out of 5 by Peachkins from Maybe for little kids... Unfortunately, this game did not appeal to me at all. Normally I wouldn't even consider a game like this, but when I saw it on a daily deal, I figured I would try the demo. There are times when I love to have an easy, casual game that doesn't take much thinking, but even so I'm afraid I can't recommend this one. 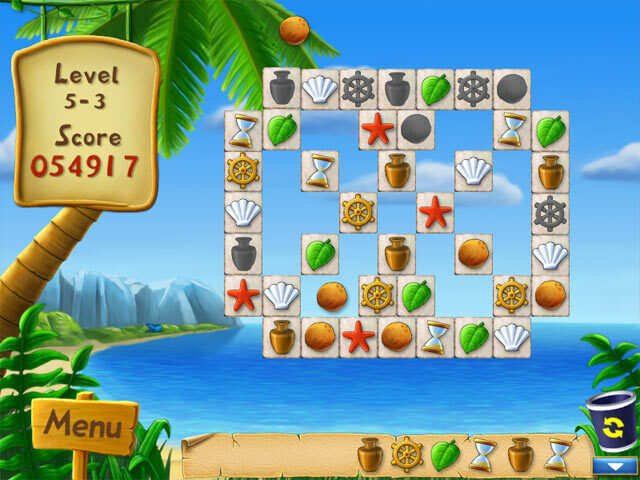 In this game you're trying to find artifacts hidden on an island that you inhabit. A hurricane has hit, and you are trying to locate the artifacts to make enough money to rebuild your home. 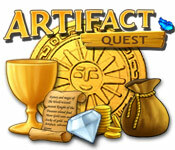 You find the artifacts by playing mini games. 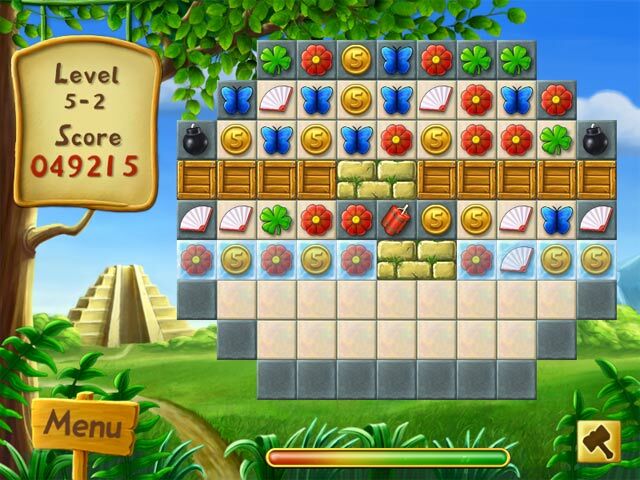 There are several different games, although all of them involve matching of some sort. For those familiar with it, one of the games is similar to Bejeweled where you are trying to make lines of three matching objects. 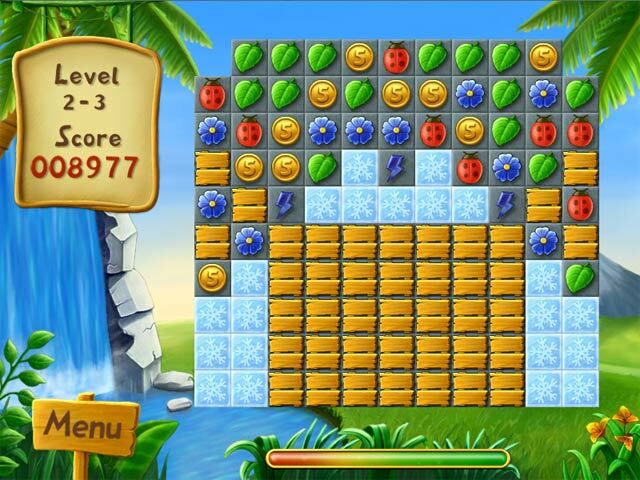 Other obstacles such as wood blocks and ice are thrown into each game to help keep them varied. I don't believe that anyone over the age of 8 would find this game to be any kind of challenge. If you can match shapes, you can do these mini games. To be fair, I did relaxed mode and not timed, so that may give a better challenge. Quite frankly I was so bored by the games that I don't care to try it again either way. I thought the storyline was weak. What doing these mini games has to do with finding artifacts I still have no idea. If you have young children you may want to consider this one, otherwise I'd recommend steering clear. Rated 2 out of 5 by GrrlScientist from ok, but not great fun this is a match three game with a storyline. i wasn't impressed with it, but it is a decent time-waster if you are on the subway and have nothing to read or do to occupy your time.